Update: The price has since dropped. 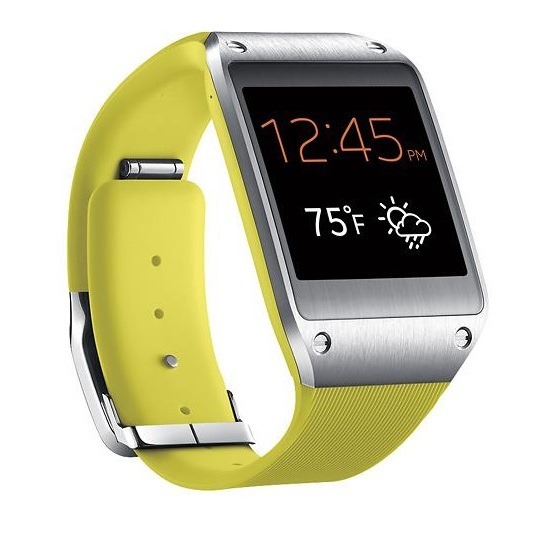 This refurbished Galaxy Gear can now be yours for just $199.95. The Galaxy Gear may not be the best smartwatch out there, but if you have a compatible Samsung device, it may just be worth checking out. This would normally set you back $299.99, but today only, you can get the Gear for $239.95 from eBay, a 20% savings. 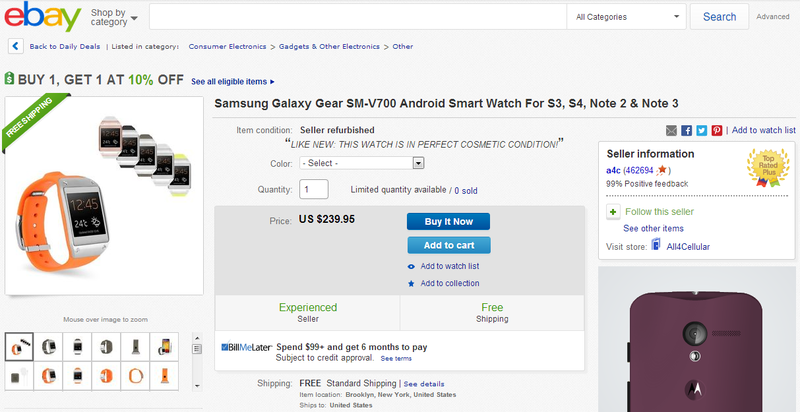 To sweeten the deal even further, the watch also comes with free shipping. The Galaxy Gear originally only worked with the Galaxy Note 3, but after a wave of Android 4.3 updates with compatibility lumped in, support has come to the Note II, Galaxy S III, and the Galaxy S4 across many carriers. This is far from opening up access to everyone out there, but it at least increases the number of people who can imitate the hip young lad in one of Samsung's Galaxy Gear promos making the rounds of late. Okay, maybe you don't want to be like that guy, but you still want the watch. If so, get it below.